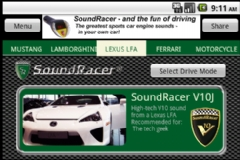 Now you can get the SoundRacer sounds in your smartphone. With our new OBDII Android app you can even have all our exciting engine sounds in your car, following the car engine RPM just as with the SoundRacer! It is a really cool feeling to hear the exciting engine sounds follow the engine speed when driving a ordinary family car! This requires a so-called OBDII (OBD2) adapter that connects to the diagnostic connector found in all modern cars. The adapter transmits vehicle data via Bluetooth to a smartphone and is very popular among car enthusiasts, for example, the app Torque with over 10 000 000 downloads. A common model of adapter is called ELM327 and can be bought on eBay and other places. The app is currently compatible with version 1.5, the newer version 2.1 seems not work well with the app. 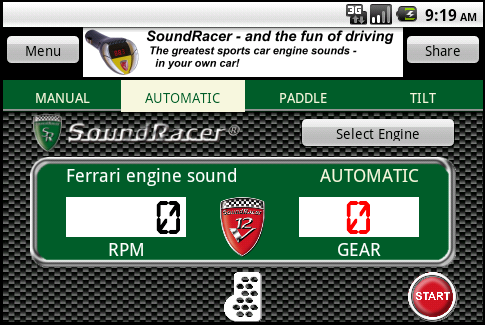 One feature in the app is that you can change the ratio between the engine rpm and the sound rpm. If, for example, you are driving a low rpm diesel it can be set so that engine sound goes on 6000 rpm when the car engine is doing 2500 rpm. The sound and rpm following in the app is depending on the OBD-II adapter and phone performance and may be different than in the SoundRacer FM transmitter. The apps are available at Google Play. Choose between the ad supported free version and the full OBD-II version. The free version gives you access to manual and automatic driving mode. In the paid version you will get access to all driving modes, including the OBDII. The ads will also be removed when you purchase the full app. 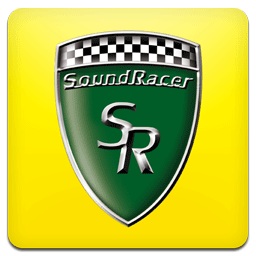 If you have any questions please check you our Q&A section for the SoundRacer Engine Sounds app on Android. 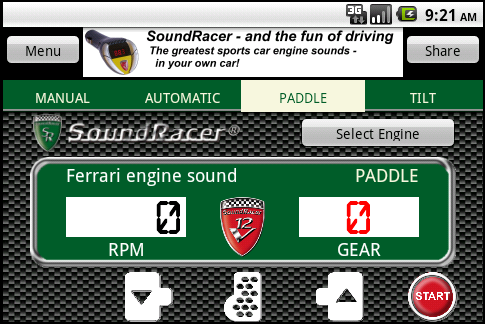 The SoundRacer apps are developed together with Appagonia.